The League of Women Voters of the Princeton Area and Princeton Community TV co-sponsoried a forum among the Democratic candidates running for Princeton Council in the June primary election. The forum took place on Tuesday, May 1 at 7 PM in the main meeting room of Witherspoon Hall, the Municipal Building at 400 Witherspoon Street. Princeton Community TV is on Comcast Channel 30 and Verizon's FIOS Channel 45. You are invited to our annual meeting and dinner. Documents to be voted upon will be sent prior to the meeting. Salt Creek Grille at Princeton Forrestal Village (Route 1 south, near the Westin hotel). Parking is conveniently located near the restaurant. Since 2009, Jeffrey Brindle has led ELEC, the agency that was established in 1973 to monitor the campaign financing of all elections in the State of New Jersey under the “The New Jersey Campaign Contributions and Expenditures Reporting Act.” Executive Director Brindle has authored 20 in-depth, analytical white paper reports on campaign financing and lobbying, many of which had a major influence on legislation. He also has published more than 140 articles in newspapers, magazines, and periodicals. His academic credentials include a B.A. degree from Rutgers University and an M.A. degree in political science from Villanova University. Women's March on New Jersey. 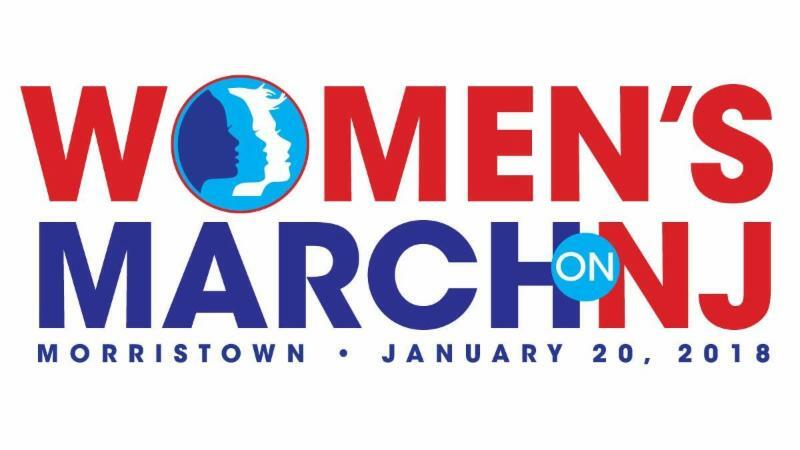 The League of Women Voters of the Morristown Area is a host working to organize this year's Women's March on New Jersey. The League of Women Voters of New Jersey is sponsoring the March. Please plan on joining us Saturday, January 20, 11 am - 1 pm at Morristown Town Hall, 200 South Street, Morristown. The theme of this year's March is "Power to the Polls" which aligns directly with our mission. One of the objectives is to bring power to the polls through increased voter registration and turnout in the 2018 primary and general elections! More information about this year's March is available here. Mark your calendars and stay tuned for more information. We are attempting to arrange a meeting spot so League members can march together! Also follow along on Facebook for updates on speakers, logistics, sponsors, etc. Note: One of the speakers will be LWVNJ President Nancy Hedinger. LWV-Princeton Area member Chrystal Schivell will be attending. Please join her! Rally Bus Network and select Princeton as the departure site. October 10 at 8 p.m.
October 11 at 10 a.m.
October 21 at 8 p.m.
October. 28 at 10 a.m. The video is available at www.VOTE411.org and is now available on the League's website; please click here. The Leagues of Monroe Township, East Windsor/Hightstown, and the Princeton Area will co-sponsor a forum among candidates for the 14th Legislative District, which includes Plainsboro. Video of the 14th Legislative District Forum with be rebroadcast on Princeton Community TV. Oct. 24 at 8 p.m.
Oct. 25 at 10 a.m.
Oct 28 at 9 p.m.
Nov. 4 at 10 a.m.
Nov. 5 at 8 p.m.
Forums among candidates for the 16th Legislative District, Somerset County Freeholder, and Montgomery Township Committee had to be canceled because one of the parties did not accept the League's invitation. The first of two public debates between the Republican and Democratic candidates in the New Jersey gubernatorial race will be held at the New Jersey Performing Arts Center in Newark, N.J. on October 10, 2017. The NJPAC debate between former U.S. Ambassador to Germany Phil Murphy (D) and Lt. Governor Kim Guadagno (R) is co-sponsored by El Diario; Lead NJ; League of Women Voters of New Jersey; National Association of Latino Elected Officials; NJ Advance Media; NJBIZ Magazine; NJ Spotlight; Rutgers University; Twitter; WABC-TV, WADO-AM radio and Univision, all in New York; WBGO-FM radio, in Newark; and Univision65, WHYY-FM radio and WPVI-TV, all in Philadelphia. The debate will be broadcast on both ABC-TV affiliates and Univision, as well as on WBGO and WHYY. "The League of Women Voters of New Jersey has a long and impressive history sponsoring debates at all levels of government, from school board to U.S. Senate," said Jesse Burns, Executive Director of the League of Women Voters of New Jersey. "This wide ranging partnership will help us better serve NJ voters with a high quality, issue-oriented debate that will reach a remarkably large audience." Twitter will broadcast the debate as a live feed from its website, enabling users of the platform to follow and interact in real time as Sade Baderinwa and Jim Gardner, of ABC's New York and Philadelphia affiliates, moderate questions asked by a panel of journalists. The New Jersey Election Law Enforcement Commission selected NJPAC as the site for the debate from among 12 applicants that included universities, media organizations and nonprofits. "As the premier venue for important conversations about New Jersey politics, arts and education, NJPAC is a natural location to host the first debate, and we're proud to do so," said President and CEO John Schreiber. "With just two gubernatorial elections in America this year, nationwide interest in the New Jersey race is high," Schreiber said. "Our broadcast partners will enable the entire country to not just watch and listen to the debate, but to actually participate as well." The second gubernatorial debate will be hosted by William Paterson University. A debate between the candidates for lieutenant governor is to be held at Montclair State University. The LWV of Lawrence Township is hosting a presentation by Mercer County Clerk Paula Sollami-Covello. She will speak about her new, county-wide vote-by-mail initiative, our aging voting machines, and other challenges facing the fair elections process. Parking is available in the library parking lot. Join your colleagues for an informative discussion.